It still feels weird when people come to me for tips on exploring Atlanta, but as soon as they do I find myself spewing out countless options for a meal, day, or weekend adventure in the city. 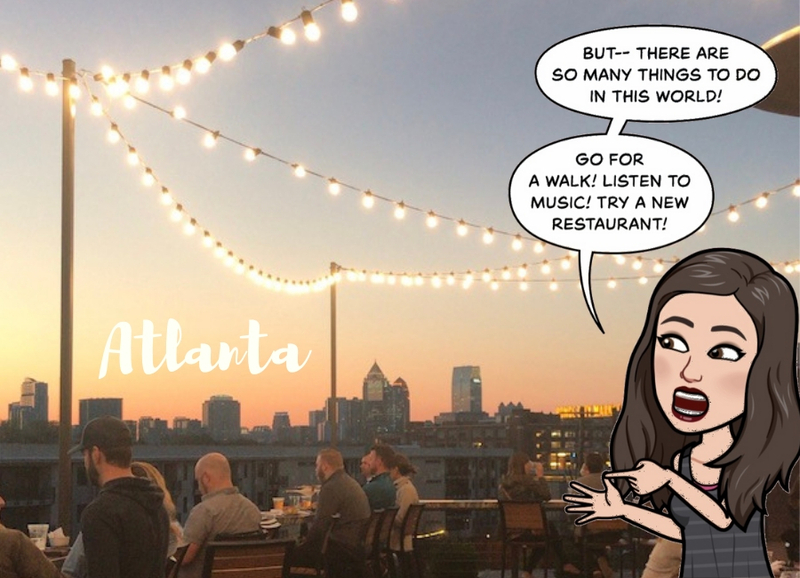 I got caught up for a couple of hours today raving about restaurants and I figured I might as well take a minute to jot down all of my ATL faves. People have shown me these city secrets so I want to pass them along. Sun In My Belly. I cannot possibly begin to put into words the decadence that is the Kirkwood Breakfast. Their tagline, “glorious food,” does it justice. And hello, celebrity sighting. When Brad first took me there we ran into Donald Glover. But all Childishness aside, LAVENDER BISCUITS. If boozy brunch or breakfast pizza is more your thing, head over to Varasano’s Pizzeria. They have $14.95 bottomless (and interchangeable) Bellinis, Mimosas, and Bloody Marys and the brunch pizzas are family sized and to die for. First and foremost, if you live in Atlanta and like to eat there is absolutely NO reason why you shouldn’t have a Dining Out Passbook. The passbook has BOGO entrées for over a hundred restaurants both in and out of the perimeter. 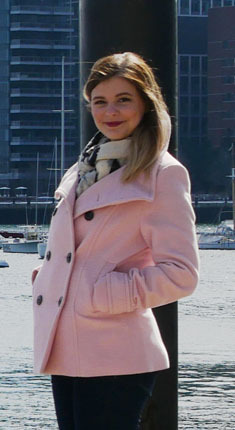 It’s helped me explore new neighborhoods and become the best date ever. Seriously. Free date. Cha-ching. So, before you continue, you’ll want to grab the Groupon! Jack’s Pizza and Wings is a hole in the wall covered in graffiti with cheap pitchers, monster slices, and dirty bingo nights. The Jason slice is where it is at. Go in with high expectations on pizza and low expectations for fast service. It’s worth it. I promise. Edgewood Pizza is Jack’s only rival. And I honestly think the pizza is better as a whole, but they don’t offer mac&chs pizza so I really must include both. Also, this is close to home. Also, those lemon pepper wings. Bartaco – My friends make fun of my obsession with this place. Start with margaritas at Pure and head to Bartaco for the tex mex and street corn. For a late night date, I suggest Tiny Lou’s for drinks and desserts. Chocolate mousse topped with gold. Say no more. I’m sorry to say I’m not one to ask for shopping tips. I would just send you over to Junkman’s Daughter, God is Dope, or Scott Antique Market. Little something for everyone. I prefer my money to go to experiences over clothes. One of the reasons I just got roller skates for my birthday. (Yes, I know I’m almost thirty.) Hide your kids. Hide your dogs. Dana and I are wheeled and dangerous. For free* activities, I will recommend the Beltline and Piedmont Park all day. There are festivals scheduled all throughout the year: food festivals of all kinds, music, yoga, even fireworks for no apparent reason. The Atlanta Dogwood Festival and Inman Park festival are coming up this month and each neighborhood will have its own festival at some point with music and vendors. And we mustn’t forget Taste of Atlanta. Painted Duck. The bowling is a bit pricey but the other activities are free. And no, you’re not drunk (well, Idk you might be) the bathrooms are unisex. It confuses everyone. My recommendations here would definitely depend on what kind of night you are looking for, but the city has something for everyone! If you are a breweries kind of guy or gal, my personal favorite is Orpheus off of Piedmont Park. They are notorious for their sours and saisons, of which they have a PLETHORA of delicious options. If you are an IPA drinker you need to check out Sweetwater, or if you are looking for a great view hit the Beltline for New Realm Brewing. The Westside has Monday Night Brewing‘s Garage which hosts several events every week, and I’ve been dying to visit Three Taverns Brewery in Decatur. Tuesday Night Dance Party was always a great option until I started going into work hours before the sun came out. If you’re here midweek, Star Bar in Little Five Points has a weekly dance party. Cheap drinks, our favorite DJ Quasi, and a shrine to Elvis. Where could you go wrong? Join some friends at Ladybird for a punch bowl and enjoy the weather and people/pup-watching. The Hotel Claremont‘s Roof hosts yard games alongside the gorgeous view above and I dig the Hotel’s Wes Anderson Vibes. Karaoke or bar crawling can be found in Virginia Highlands. Dark Horse has heavy metal karaoke on weekends in the basement. The Warren is right behind it and you can easily stop at Atkins Park, Limerick, Deisel, Neighbors– all just a short stroll away. I apologize to all the Southern Baptists for listing church right after nights out. You certainly do not have to visit any of those places, but please, PLEASE, if you are in Atlanta on a Sunday be sure to visit Passion City Church. Located at 515 Garson Drive, gatherings are at 9:15a, 11:45a, and 5p. Worship with Passion Band or guests like David Crowder and hear Louie Giglio bring the Word. If you’re staying awhile, get plugged into a community group and let big church be made small. This is a Jesus Church that is for God, for people, and for the city. Oh! And the best view of the city: Jackson Street Bridge. So that’s my rundown of Atlanta. What are your favorite spots? Coming to visit soon? Don’t forget to say hello! Let’s grab a bite and catch up!